This is the second exercise from the book, “Japanese Ink Painting: The Art of Sumi-e” by Naomi Okamoto. 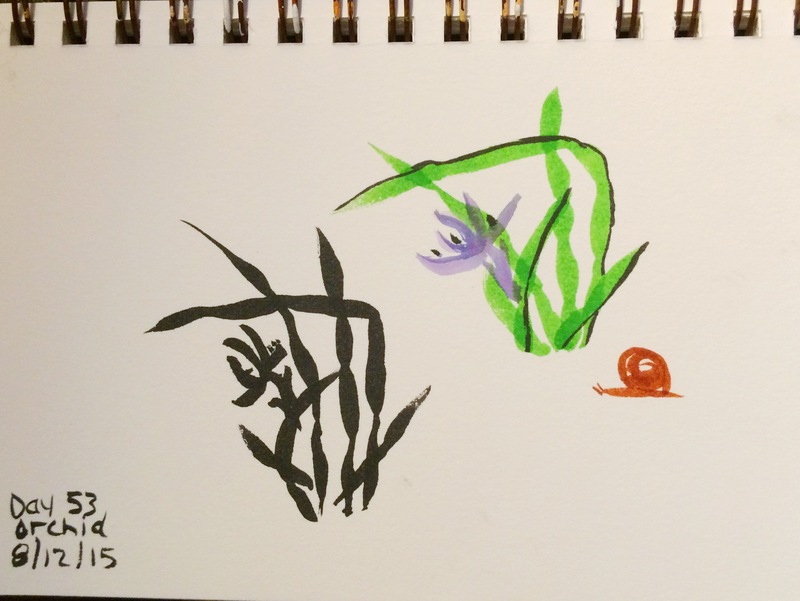 Clearly, the Pentel Pocket Brush pen is not at all the right pen for Sumi-e so I thought I would also try the orchid exercise with the Akashiya Sai pens. I have it in my head ot use the various palettes during the corresponding season. Someday I will try Sumi-e in the traditional way but I am far too lazy to grind my own ink and blah blah blah. But, indeed, there is a reason for the ritual because it makes a huge difference in the final product. For now, I’ll try th exercises with the tools I currently have.